Whoa, it’s already October 3! I’d blame Wild Card fever for my tardiness with the October TCM preview, but sick bed fever would better describe what’s been keeping me from you. Actually, it’s just a nasty cold, no fever involved, thank you, but up until now the head has been a little too bleary to put together anything making much sense. But we haven’t missed too much. Our Star of the Month, Vincent Price, doesn’t make his debut until later tonight and while Price doesn’t bring the scares for another few weeks yet, we haven’t missed any horror movie marathons either. The Story of Film continued with Chapter 5 on Tuesday night, but a fickle fan am I and as much as I enjoyed all of the early movies wrapped around the episodes throughout September, I’m about ready for the series to wrap now. As eager as I had been for The Story of Film I now anticipate an exhausting road to December 9 as I discover a series geared more towards world cinema studies or even an aspiring filmmaker than to a general fan of old Hollywood such as myself. I don't deny it is an achievement; I just deny liking it. Jeeze, I hope I'm not as cranky with my picks below! As always these selections are based upon what I like and so they mostly stick to the 1930s and TCM's smattering of earlier silent offerings. A few '40s and '50s titles slip in, but not too many. Thursday, October 3 begins round one of the Vincent Price movies with Gene Tierney in Leave Her to Heaven (1945) highlighting the evening at 10 pm EST. A single shot of morning pre-Code alert on Friday, October 4 with Ruth Chatterton playing the boss in Michael Curtiz’ Female (1933) at 8:45 am. You have this already if you own the Forbidden Hollywood Collection, Volume 2 ; you’ll want to record it if you don’t. Bride of Frankenstein (1935) makes its first of two appearances late that night at 1:30 am (Also on October 26). Love the evening schedule on Saturday, October 5 because I’ve held my own Walter Connolly nights before when TCM wasn’t cooperating. Connolly is as priceless as the rest of the bigger name cast in the MGM classic comedy Libeled Lady (1936) at 8 pm. He plays a part in what I still find the funniest scene in any ‘30s movie when he takes William Powell fishing in that one. Connolly is far more mercenary as Nils Asther’s right hand man in Frank Capra’s pre-Code classic The Bitter Tea of General Yen (1932) at 10 pm. Connolly may be darker yet alongside William Frawley in The Adventures of Huckleberry Finn (1939) starring Mickey Rooney as Huck. Say no more than 'prostitution, 1913' to set my DVR alert for Traffic in Souls, the Sunday night silent on October 6. Be nice to finally see Jane Gail and Ethel Grandin actually in motion rather than smiling flatly from my trading cards (I’ll post their pics somewhere on this page!). Daytime birthday celebration for director Robert Z. Leonard (1889-1968) on Monday, October 7. All talkies from Mae Murray’s former husband including a pair of pre-Codes to kick off the day with Marion Davies in Five and Ten (1931) at 6 am and Joan Crawford and Clark Gable in Dancing Lady (1933) at 7:45. These are followed by the film that Leonard received his second of two Oscar nominations for, The Great Ziegfeld (1936), at 9:30 am. Yes, Ziegfeld is long and it should be, even if it could have been better. Luise Rainer grabs her first of back-to-back Oscars in this one, even if I preferred Virginia Bruce’s performance. TCM reschedules a slate of movies adapted from James M. Barrie during the morning of Thursday, October 10. These, along with an afternoon featuring titles directed by Lewis Gilbert, were originally scheduled to air on June 14, but were preempted for a marathon of Esther Williams movies just after her death. That evening Vincent Price returns in a starring role in Sam Fuller’s The Baron of Arizona (1950) at 8 pm. Non-horror titles featuring Price air the rest of that evening as well. I’m a big fan of Dead of Night (1945), the early British horror anthology featuring many now familiar stories. If you enjoy The Twilight Zone episode “The Dummy” with Cliff Robertson be prepared to have it supplanted in your mind by the far creepier dummy at the end of Dead of Night! A little dated yet 25 years ahead of its time as well! Be sure to record Josef von Sternberg’s underrated Crime and Punishment (1935) adaptation just after midnight Saturday, October 12 (12:30 am). Gorgeous pre-Code actress Marian Marsh gives one of her best performances in the dark Dostoyevsky story starring Peter Lorre as Raskolnikov with Edward Arnold on his tail as Porfiry. For a look at a later poverty row adaption see my most recent post to my Warren William site about 1946’s Fear. Crime and Punishment is followed by a pair of Tod Browning/Lon Chaney films beginning with the silent West of Zanzibar (1928) at 2:15 am. Chaney is joined by later Oscar winners Lionel Barrymore and Warner Baxter in this title, which was remade in 1932 as equally creepy talkie Kongo (1932). The earlier and superior silent version of The Unholy Three (1925) follows at 3:30 am. If you’re looking for Nosferatu (1922) this month you’ll find it as the Sunday Silent at midnight October 13, when it actually ushers in an entire overnight of vampires: Carl Theodor Dreyer’s Vampyr (1932) follows at 2 am; The Vampire Bat (1933) at 3:15 am; and The Vampire (1957) at 4:30 am. 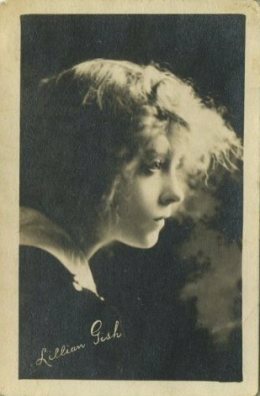 If you make it through the dark with those bloodsuckers then be sure to stick around in the morning on Monday, October 14 for a Lillian Gish (1893-1993) birthday tribute that lasts through 5:15 pm. Four silent classics begin the morning with D.W. Griffith’s Broken Blossoms (1919) at 6 am followed by The White Sister (1923) at 7:45, La Boheme (1926) at 10:15 and The Scarlet Letter (1926) at noon. Gish makes her talkie debut in One Romantic Night (1930) at 1:45 pm. TCM may not have managed Laura for Vincent Price month, but they treat us to four Twentieth Century Fox titles starring Tyrone Power during the evening of Wednesday, October 16. The night begins with Western Rawhide (1951) at 8 pm, the odd Power title I have not seen, but it is followed by three of my favorites. Film noir is not my favorite genre, but Nightmare Alley (1947) is a case of substance over style and remains an all-time favorite. It plays at 9:45 pm and is followed by Power’s signature role in The Mark of Zorro (1940) at 11:45 pm and the incredibly fun Rafael Sabatini swashbuckler The Black Swan (1942) follows at 1:30 am. Power is back for one more, even if MGM interrupts our Fox love fest, opposite Norma Shearer in 1938’s Marie Antoinette. Friday, October 18 begins the day with five from director George Stevens. Beyond The More the Merrier to cap the marathon at 1:15 pm, these aren’t your usual Stevens’ selections! Bachelor Bait (1934) interests me as an early title released under the Production Code. I’ve begun to notice Breen and company didn’t seem quite so strict with some of these early Code compliant titles, so I’ll be curious to see what, if anything, slipped by them. Plus, I’m always up for some Stuart Erwin and Rochelle Hudson! Bachelor Bait opens the day at 7 am and is followed by a pair of 1935 Wheeler and Woolsey comedies, Kentucky Kernals at 8:30 and The Nitwits at 10. The second half of the day features three directed by David Butler and I’m curious about September 1934 release Have a Heart (1934) for all of the same reasons as Bachelor Bait, right down to Stu Erwin! No Hudson in that one though as Jean Parker, James Dunn and Una Merkel take billing ahead of “Comic Valentine” Erwin. Heave a Heart is on at 3:15 that afternoon and is followed by Shirley Temple classic The Littlest Rebel (1935), also directed by Butler, at 4:45. While I’m throwing around obscure nicknames and linking to old biographies I ought to mention that Shirley’s dad in that one is played by “Elvis Presley of the Stone Age” John Boles. Horror movies come out that same Friday night (Oct. 18 still) with TCM’s requisite marathon of Jacques Tourneur titles stuffed into the overnight. Early Saturday, October 19 Myrna Loy and Boris Karloff camp it up in The Mask of Fu Manchu (1932). Scarier stuff in the evening as TCM unleashes Tod Browning upon us with the uncompromising classic Freaks (1932) settling in to the 8 pm TCM Essentials time slot. I hope Drew Barrymore can keep her dinner down. Freaks is followed by Mark of the Vampire (1935) at 9:15 pm. This one will likely disappoint first time viewers, but once you’re aware of the twist it improves upon further viewing. Amongst the impressive cast is one of my faves, Elizabeth Allan, though you’re more likely to remember Carroll Borland standing alongside Bela Lugosi if you’re going to focus on the actresses in this one! Mark of the Vampire is a talkie version of Browning’s famed lost film, London After Midnight (1927), which TCM plays in its reconstructed version that same night at 1:15 am—no motion picture here, just creative use of surviving stills with intertitles and accompanying music. It works. In between TCM plays The Devil Doll (1936) at 10:30 pm and Miracles for Sale (1939) at midnight. The Sunday Silent is Benjamin Christensen’s Häxan (1922) at midnight October 20. It’s not her birthday, but Tuesday, October 22 features a seven movie Margaret Lockwood (1916-1990) marathon during the day. It finishes off with Alfred Hitchcock’s The Lady Vanishes (1938) at 6:15 pm. The Academy Award nominated Trader Horn (1931) plays at midnight October 23. I find it a bit creaky but the early jungle adventure starring Harry Carey still has its fans. Vincent Price finally gets scary on Thursday, October 24 and does so straight on through until 9:45 the next morning. Tyrone Power and The Black Swan receive an encore at 3 pm on Friday, October 25. I also enjoy Boris Karloff’s Warner Brothers horror offering, The Walking Dead (1936). Directed by Michael Curtiz it’s on at 6:15 that afternoon. Also featuring fave Ricardo Cortez in one of his slimy criminal roles. A couple of the more traditional Karloff classics from Universal play that Saturday night, October 26 with TCM Essential Bride of Frankenstein (1935) at 8 followed by The Mummy (1932) at 9:30 pm. Bela Lugosi makes an appearance after midnight in White Zombie (1932) at 12:30 am (No appearance by Lugosi as Dracula (1931) this month, but I was determined to link back to last year's post, so there you go!). Our favorite giant ants are on the rampage in Them! (1954) at 6 pm Sunday, October 27. They’re followed by a double-feature that TCM’s Now Playing Guide titles “Studio Queens,” but I prefer to think of as simply joined by word association: Bette Davis stars in Mr. Skeffington (1944) at 8 followed by Greer Garson in Tay Garnett’s Mrs. Parkington (1944) at 10:45. The Bette movie is far better known but, as usual, I prefer the Greer Garson title. One of Garson’s eight pairings* with Walter Pidgeon. *The Youngest Profession (1943) counts as number nine, but Garson and Pidgeon play themselves in that one. Still, they receive more substantial screen time than I expected! The Sunday Silent begins a bit late because of the Skeffington/Parkington double, but it features Lon Chaney in The Phantom of the Opera (1925) at 1 am. Still beautiful and shocking in all the right places. Boy, I bet I’ve seen Shadow of Doubt (1935) before, but the synopsis doesn’t make it ring any bells. Considering it stars Ricardo Cortez and Virginia Bruce I’ll have to make sure come 7 am Wednesday, October 30, but as of now I’ll be looking forward to this murder mystery also starring Constance Collier in her talkie debut and the always delightful Isabel Jewell. Freaks (1932) plays again at midnight on the 30th. Christopher Lee is the featured Halloween star throughout the day, October 31. Lots of Hammer movies and you get to see Lee as Frankenstein, Dracula and The Mummy, as well as a few of his more human evil roles. Halloween night closes out TCM’s tribute to Star of the Month Vincent Price, though he may face especially strong competition if the World Series goes 7 games! To be honest, barring that Game 7, I’ll likely be watching Karloff and Lugosi DVDs that evening. Be sure to check out what other bloggers are excited about for November in Kristina’s round-up of preview links at the Speakeasy. TCM's Star of the Month for November will be Burt Lancaster. I’ve taken on a more relaxed pace with my Wally Beery research. It continues though. I’ll likely post about a Beery movie some time in October, I’m between Tugboat Annie (1933) and the harder-to-find The Mighty Barnum (1934). Next up, following this preview, will likely be a look at The Witching Hour (1934), which despite its title and a few creeps is not a horror movie. But I do hope to blog about one or two horror movies as we get deeper into the month. I’ve recently signed on for two November blogathons. My friends Kellee of Outspoken & Freckled, Paula of Paula’s Cinema Club and Aurora of Once Upon a Screen bring back the “What a Character!” blogathon on November 9-11. I took part in this one last year and wrote about David Landau. I’ve covered many character actors since then, but figured I’d use this one as an excuse to tackle a subject I’ve been considering for a while: Hugh Herbert. On Wednesday I signed up for The Chaney Blogathon! This one is hosted by Fritzi of Movies Silently and Jo of The Last Drive In. I waited a little long to grab anything I wanted with Lon, Sr., so I’ll be covering Jr. in Dead Man’s Eyes (1944). You can find that title in the old Inner Sanctum Mysteries set along with five similar B mysteries starring Chaney, Jr. For some reason I rediscovered this set over the Summer and Dead Man’s Eyes emerged as a favorite. Banners for both blogathons will appear in the sidebar on the site for the next couple of months. Back soon ... likely with The Witching Hour. See you then! TCM reminders are now taken care of. Thanks. “Elvis Presley of the stone age”? Ha. Any time I can work “Elvis of the Stone Age” in, I’m gonna do it!